Sa Xarxa cellar was founded in 1969 by Joan Sala i Lloberas, Fisherman from Lloret de Mar, and his wife, Lluïsa Baltrons Colls. At the end of the sixties, the arrival of tourists to Lloret was increasing. The idea of the founders was to start a typical fisherman’s cellar, an authentic business to remind the old cellars of Lloret. To start, Joan Sala sold his fishing boat, his “Teranyina”, a catalan word that means web, and with Lluïsa they could start the cellar with high hopes. They spent a lot of time decorating the place in a genuine style. Benches and stools made of wood, Wine barrels and an extensive selection of liquours to decorate all the corners of the Cellar. Everything that you can see now is the same as the founders decided. 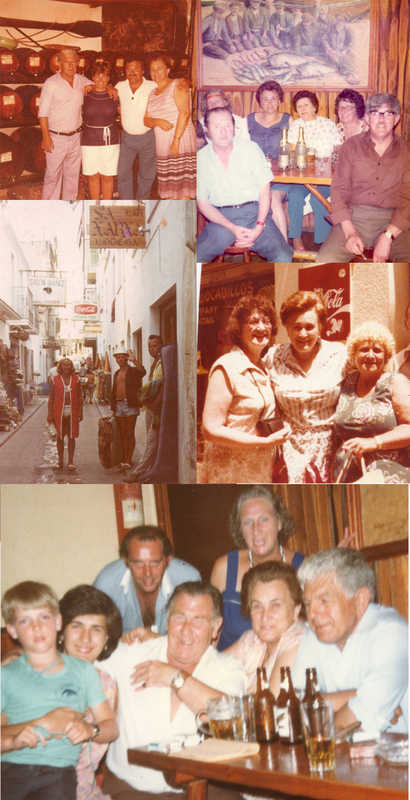 The personality of Lluïsa Baltrons, created the feeling and the ambience of a fisherman’s pub. The winning point of the cellar, has always been a familiar and close service. Products from the land, tapas, special dishes prepared with tradition. There are a lot of day to day customers who have come over the past 20 or 30 years. 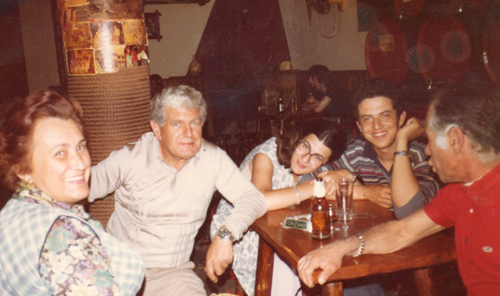 Starting the 80’s, Rosa Maria, daughter of Joan Sala and Lluïsa Baltrons, and her husband Salvador Castells. Took over the day to day in the Cellar. They kept the tradition and the spirit of the fisherman’s pub from the 60’s to today. 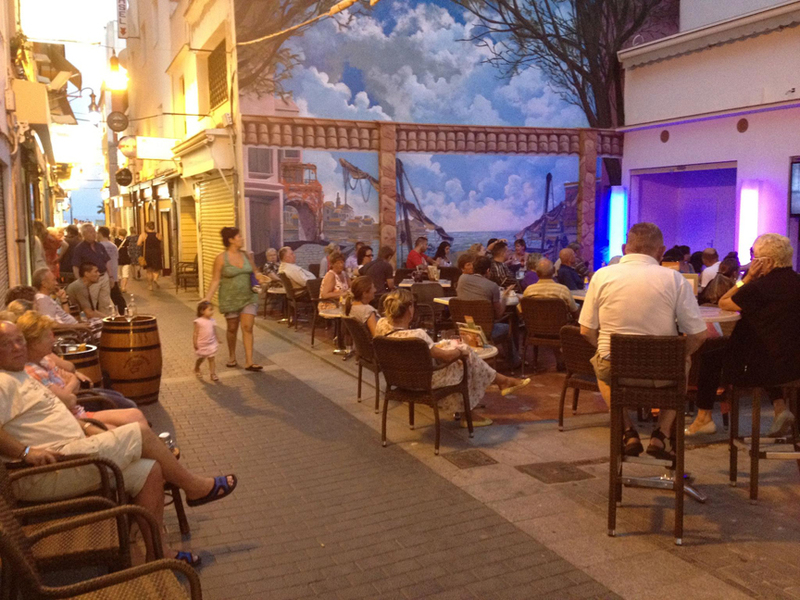 The Cellar is a meeting point of a lot of neighours of Lloret, Football fans and other sports. In this photo album in our Facebook Page you can see the ambient in the big sports occasions. Finally, in 2011 there was some construction work in the neighbouring property, to give all the customers a modern and cosy terrace with the spirit of the cellar. A terrace that impresses everybody with the beauty of its painted wall, and that Joan Sala would have approved, as he also spent part of his life painting, becoming one of the most important modern painters of Lloret de Mar.